Those in South Korea feel least healthy among the people of Organization for Economic Cooperation and Development countries, although indicators, such as life expectancy at birth and deaths from cancer, show otherwise, a newly released government report showed Thursday. Korea also continued to have the highest suicide rate among OECD states, with the rate having more than doubled since 2000, the report showed. The report, which analyzed the latest OECD Health Statistics, showed that only 32.5 percent of South Koreans felt they were healthy as of 2016. The rate was under half the OECD average of 68.3 percent. In contrast to South Korea, almost 90 percent of people in the US, New Zealand and Canada said they felt they were in good health. To the contrary, however, the report showed that Koreans may not be as unhealthy as they feel. As of 2016, 34.5 percent of all Koreans were obese or overweight; the proportion marked second lowest among OECD countries, exceeding only Japan at 25.4 percent. Korea also had the highest life expectancies in the world, and the proportion of people who died of cancer -- 168.4 per 100,000 -- was also significantly lower than the OECD average of 201.9 per 100,000. Still, the country’s suicide rate, 25.8 per 100,000, was the highest among the countries. South Korea also reports the third highest excess mortality rates from schizophrenia and bipolar disorder among OECD countries. Notably, the report showed that South Korea’s antidepressant use ranked among the lowest. Mental illness is still largely considered a taboo topic or personal weakness in Korea. 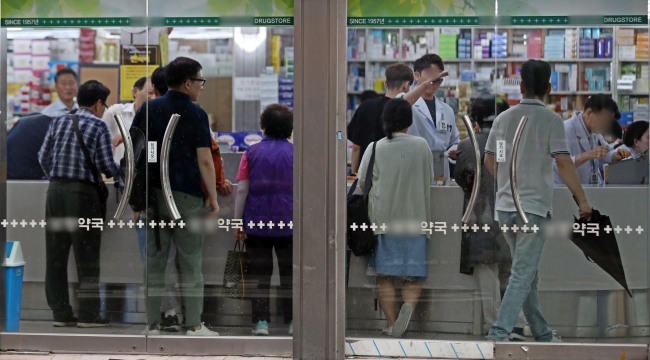 A 2016 OECD report advised Korea to “make psychological therapies more widely available,” particularly in community facilities and outpatient clinics, and introduce cognitive behavioral therapy in community-based health care programs.